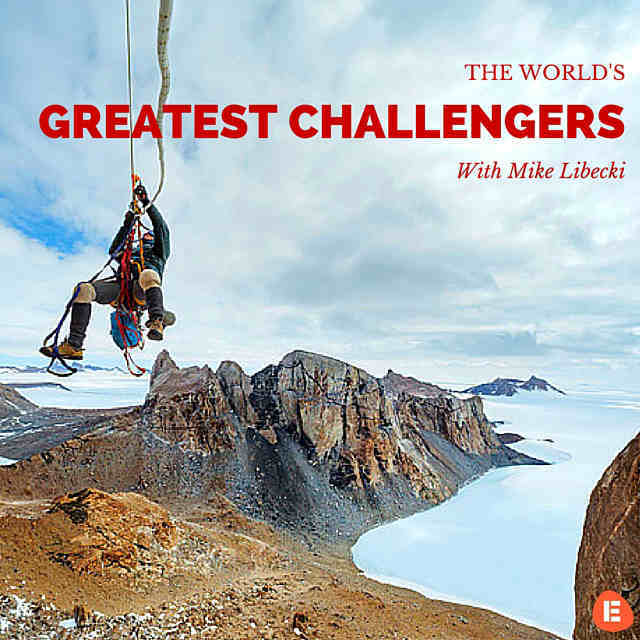 To kick off our World’s Greatest Challengers series we take a look at Mike Libecki. Mike is the living definition of what we at EtchRock would call a ‘Challenger’. Some may describe him as a climber, others may say he is an adventurer, he would probably tell you he’s a father. 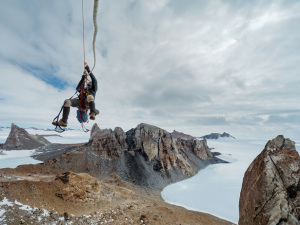 Mike has logged over 50 expeditions and solo-climbed some of the most remote peaks on the planet. Yemen, Kyrgyzstan, Venezuela, Antarctica and Afghanistan are to name but a few of the climbs that he has conquered. Mike holds numerous awards and accolades’ including the prestigious National Geographic’s Adventurer of the Year award, but for what he is most proud for is his daughter Lilliana. She is no stranger to adventure herself, and at only 12 years she is about to visit her seventh continent! Mike’s goal is to reach 100 expeditions by the time he is 100, and being over halfway, that goal is definitely reachable. You can see a great piece about Mike, Lilliana and his passion for adventure below. -What would you say your greatest career highlight has been? -After you complete one expedition, how long is it until you jump into the next one? It just depends really. I try to do at least 3 or 4 expeditions a year. I go kind of crazy if I go for too long without being in the remote and wild Earth! -Did you have any climbers that you would look up to growing up? Peter Croft was always a big inspiration. I used to follow him around in Yosemite. Jim Bridwell was also a big inspiration. -I heard that you were taking your daughter Lilliana on a skiing expedition to Antarctica, can you tell me a little about that experience? -Is there any type of extreme challenge that you have been itching to try other than climbing? For me it’s all about the entire expedition. The people, the environment, the elements and the remote Earth. This is as well as the climbing of first ascents…Its the mystery, without mystery there is no adventure! -Have you had any close calls? What has been your most scary experience? Yes, of course. Huge rock fall while solo climbing in Afghanistan, it was the closest I have ever come to being killed. Also, another close call with some interesting ‘Taliban’ types in Afghanistan in the mountains! Rock fall, on many occasions…. It has been the scariest time, several times. -What would Mike Libecki be doing if he wasn’t a climber? that is my plan, to have a brewery that benefits the animal sanctuary. I love animals and brewing beer! -If someone were thinking about getting into climbing, what would be the one bit of advice you would give him or her? Mike’s attitude towards life is infectious. His relentless pursuit of what he loves most is endearing. The way he takes on challenges is a stark reminder (to me at least) that life is all about experiences and we only have one chance to make the most of it. As he ticks each expedition off his list, he does it not for recognition, but for his passion, a sense of adventure. Or check him out on his Twitter or Facebook page. Are you inspired by Mikes story? Has it brought out the inner climber in you? Let us know what your next big challenge will be on our Facebook page!